If people really understood how vanishingly, impossibly small their chances of winning the lottery are, nobody would play. But they do: year after year, decade after decade, generation after generation. Human beings are just no damn good at thinking probabilistically – it’s a fact. For my money, a startling amount of chavismo’s appeal rests on the same mechanism: on this illusion that you too can win the Chávez lottery. Stick by him long enough and he will personally step in and save you somehow. As a governing strategy, it’s utterly unworkable, but if you’re able to maintain the illusion, it can help sustain the mass’s acquiescence. And they know that. And they prey on that. The decision to take in 26 flood-hit families to live in Miraflores is a perfect case in point. Tens of thousands of others will be left to fend for themselves, finding new housing God-only-knows-how. But taking in those 26 families fuels the sense that, one day, it’ll be my turn, it feeds the hope that Chávez will one day step in personally and make it all better for me, and the intimate conviction that he would if only he knew how much I need it. It’s nonsense. But it works. And it sustains him. Chávez has spent considerable resources keeping the illusion alive. It’s why people are still, 12 years on, more likely to blame his ministers and bureaucrats for their problems than the president himself. It’s why his Twitter feed is such a vail of tears. It’s why people who are well aware chavismo is corrupt still vote for Chávez. They’re not voting for an ideology, or a movement, let alone a governing program: they’re buying a lottery ticket. 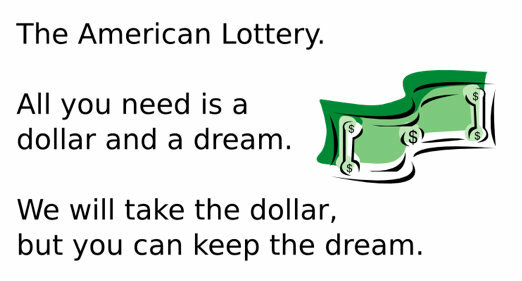 Of course, some academics contend that buying a lottery ticket isn’t really irrational at all, because what people are paying for is the right to day-dream about winning. The day-dream, presumably, has some positive value – as a diversion, I suppose, from an unbearable here-and-now. Value that day-dream high enough and buying a lottery ticket comes to look like a reasonable proposition. Faced with competing offers neither of which you believe, why not?